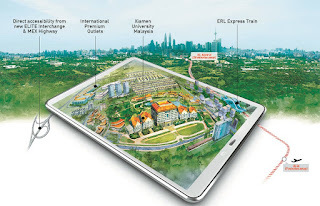 Sunsuria Bhd’s 525-acre township development Sunsuria City in Salak Tinggi, Selangor will be launching more phases starting from March, said head of marketing and sales Simon Kwan. First up will be Bell Suites, a 17-storey block with 478 Small-office Home-office (SoHo) units and five retail units, Kwan told City & Country of The Edge Malaysia. The built-ups of the SoHO units are between 450 sq ft and 970 sq ft, with indicative selling prices starting from about RM341,000 or RM758 psf. The retail units have built-ups from 1,076 sq ft, with an indicative price tag of about RM1.2 million or RM1,139 psf. 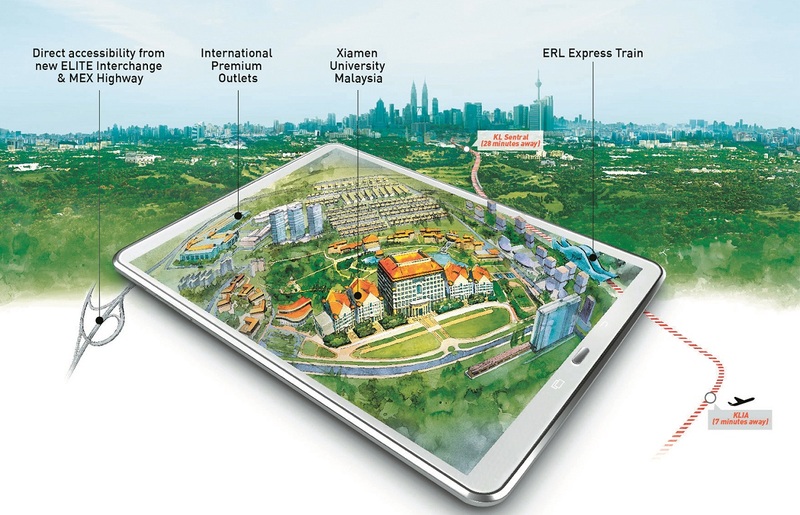 The project lies directly opposite the main entrance to Xiamen University and within walking distance to the Salak Tinggi Express Rail Link station. In April, two phases in its second residential project in Sunsuria City — Monet residences — will be launched. The 20.9-acre Monet Lily and 30.9-acre Monet Springtime will feature terraced houses. With an estimated gross development value (GDV) of RM141.24 million, Monet Lily will comprise 211 units priced from RM670,000 or RM400 psf while Monet Springtime will have 308 terraced houses with indicative prices from RM770,000 or RM420 psf. The estimated GDV for this phase is RM236.94 million. Both phases are gated-and-guarded developments featuring French-style landscaping and themed gardens.